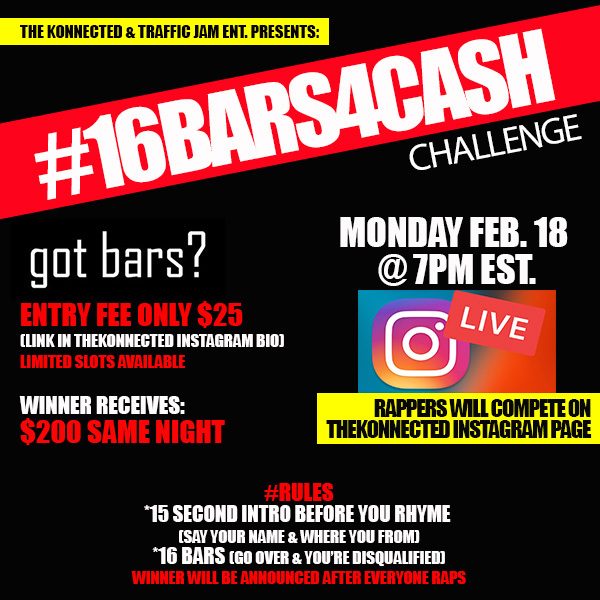 Get ready for the #16Bars4Cash Challenge going down Monday Feb. 18 @ 7pm on TheKonnected Radio Facebook page click here. If you got bars this contest is for you. It’s limited slots so make sure you lock in yours asap. All information is on the flyer.